MANILA - Malacañang on Thursday hit back at critics of the Philippines' hosting of the 31st Association of Southeast Asian Nations (ASEAN) Summit, who said the event was nothing more than pageantry. Presidential Spokesperson Harry Roque said lawmakers who criticized Manila's hosting of the summit "obviously" did not know what happened during closed-door meetings and did not read official accounts of how the summit went. "Obviously they did not know what happened beyond closed doors," he said. "I can assure you that the threat of nuclear annihilation is not a matter of pageantry, the need for peace and stability on the South China Sea is not a matter of pageantry, and of course the issue of terrorism, the fact that terrorism today knows no territorial boundaries is not a matter of pageantry. I beg to disagree," he added. Earlier, Ifugao Rep. Teddy Baguilat criticized the ASEAN as a "monstrous and glitzy photo ops (opportunity) and social gathering," saying he could not recall any major or significant regional agreement approved by the ASEAN bloc. Other members of the opposition also called out world leaders for allegedly failing to significantly tackle issues on human rights. ASEAN leaders earlier this week met in Manila for the regional bloc's biannual summit. They were joined by leaders of dialogue partners including United States President Donald Trump, Canadian Prime Minister Justin Trudeau, Japanese Prime Minister Shinzo Abe, and Chinese Premier Li Keqiang. 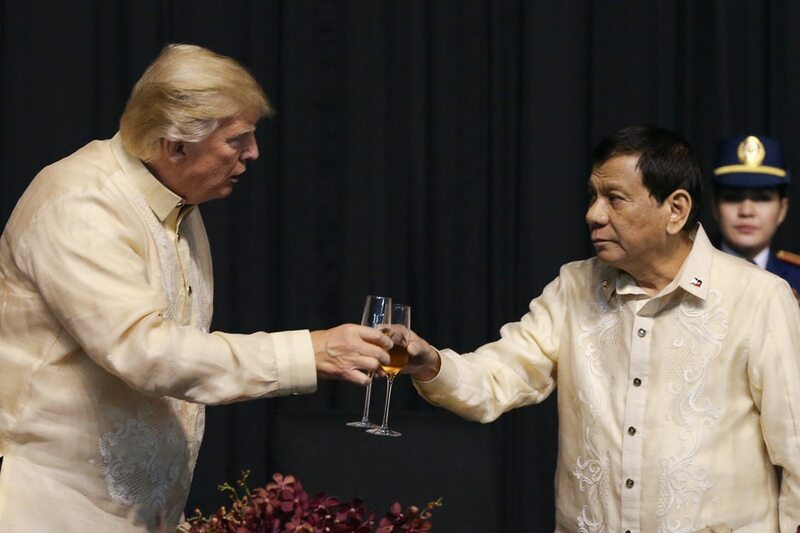 Malacañang, meanwhile, said it considers the Philippines' hosting of the ASEAN a "tremendous success," adding that it earned the country the respect of the world. "The world community now recognizes not only the fact that the Philippine President is not just the president of the Philippines, a leader of Southeast Asia but a recognized leader in the international community," Roque said. "Siyempre, mayroon pong naabala, lalong-lalo na doon sa closure ng EDSA. Pasensiya na po kayo. Ang naging kapalit naman ay 'yung paghanga ng buong daigdig sa kakayahan ng bansang Pilipinas," he added. Read more ASEAN 2017 stories here.